CHASS Communications Intern Funnel cakes, corn dogs and cotton candy – you can taste them all at the North Carolina State Fair. 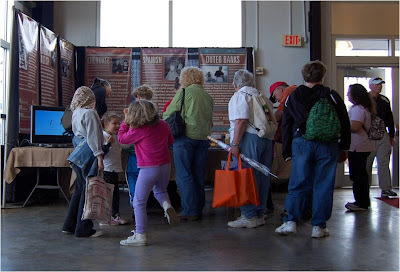 This year’s fairgoers got some extra flavor when they visited a CHASS exhibit celebrating the state’s richly-flavored stew of dialects. The NCLLP exhibit included a variety of interactive posters, videos and audio stations. 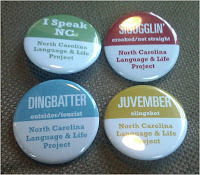 Visitors could see and hear language variations from across the Tar Heel State. An interactive quiz tested their knowledge of the difference between Mountain Talk and the Outer Banks dialect. You may want to brush up on your own dialect recognition skills . The exhibit was designed and constructed by Sarah Blackmon. Check out this article about the NCLLP exhibit from a WRAL contributor.